So we recently moved, and I have a whole art room for myself. Thus, here is the start. It is a work in progress. 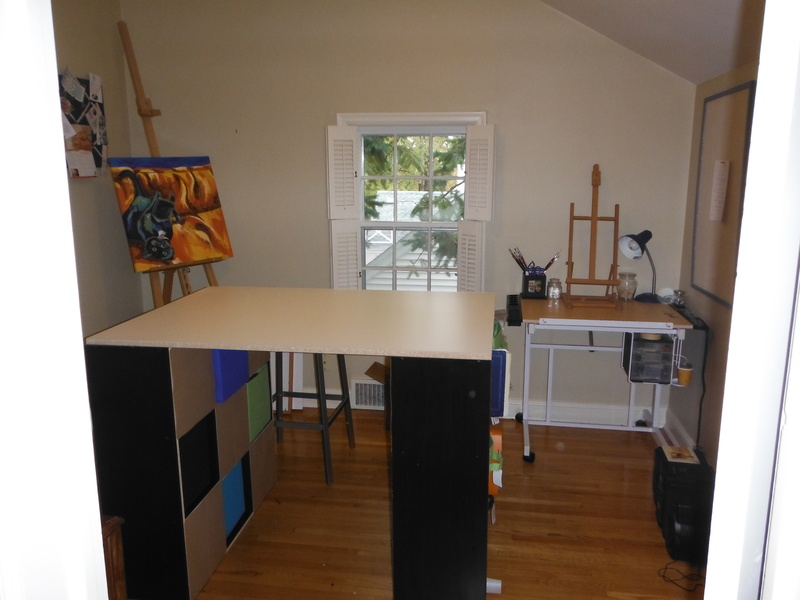 But after browsing Pinterest, I decided I needed my own large art table.